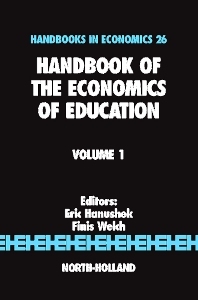 The Handbooks in Economics series continues to provide the various branches of economics with handbooks which are definitive reference sources, suitable for use by professional researchers, advanced graduate students, or by those seeking a teaching supplement. With contributions from leading researchers, each Handbook presents an accurate, self-contained survey of the current state of the topic under examination. These surveys summarize the most recent discussions in journals, and elucidate new developments. Although original material is also included, the main aim of this series is the provision of comprehensive and accessible surveys.